Truman will celebrate its fourth annual Tag Day, Nov. 15. Tag Day celebrates the impact donors have on Truman’s campus by tagging items made possible by their gifts. Smart classrooms, gardens, computer labs and more will sport tags thanking donors for their contributions. This year, scholarship recipients have also been invited to wear “I benefitted” buttons to spread awareness of private donations benefitting scholarship students. The Truman community is encouraged to sign a thank you note to donors in the Student Union Building between 10 a.m.-4 p.m. 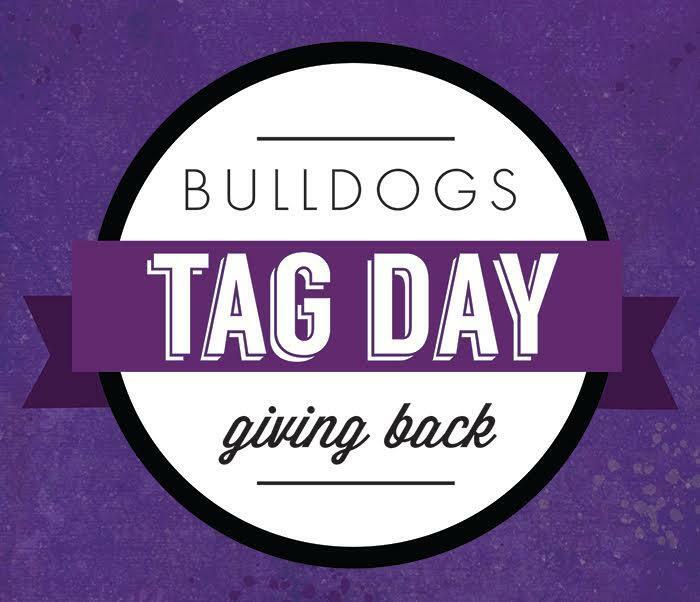 The first 50 people who take a photo of a tagged item on their social media with the hashtag #TrumanTagDay will receive a t-shirt. 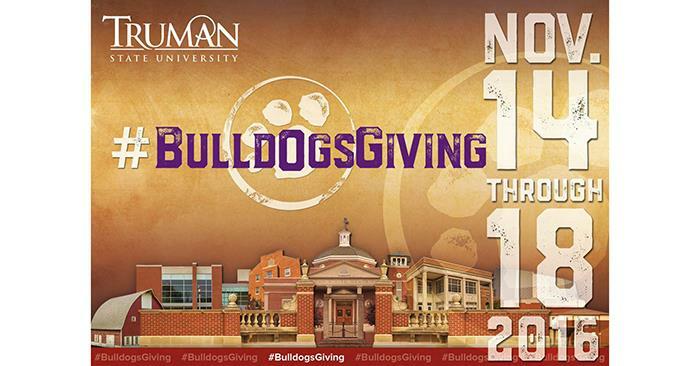 #BulldogsGiving 2016 gives the Truman community the chance to support any area of campus by making a donation to any of Truman’s Foundation Funds. This year, #BulldogsGiving also features four giving challenges. The Black Alumni & Attendees Scholarship, the Greek Letters Today, Leaders Tomorrow Scholarship and the Truman Band Fund are each working to receive a $2,500 match. The match to these funds depends on reaching a target number of donors to each fund during #BulldogsGiving. In addition, Truman athletic teams are competing against one another for a $2,500 match. Donors can support one (or more) featured fund between Nov. 14-18. 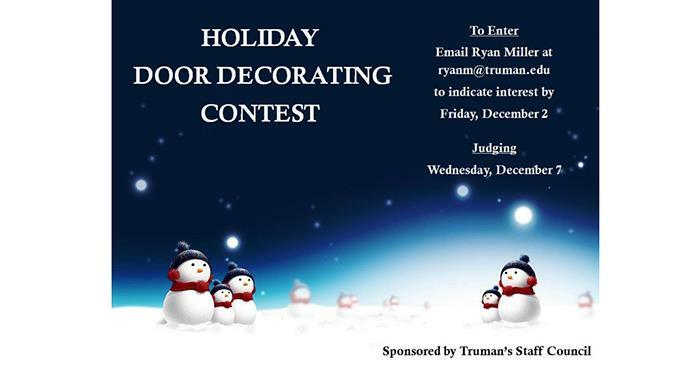 Find more information on the week-long campaign at bulldogsgiving.truman.edu. 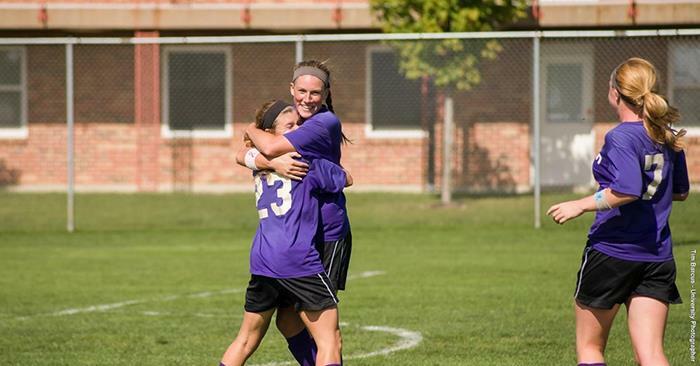 In NCAA tournament play, the women’s soccer team defeated McKendree to advance to the Midwest regional championship. The Bulldogs earned a 1-0 victory over the No. 3 seed on Hanna Burke’s sixth goal of the season. The team improved to 15-1-4 overall with the win. Truman moves on to face top seed Grand Valley State in the regional championship game. The Lakers were 2-0 winners over Missouri-St. Louis in their regional semifinal contest. The match will be played at 5 p.m. Nov. 18 in Allendale, Mich. The new laser features are holiday themed and can be enjoyed by the whole family. In addition to these special holiday programs, the planetarium will welcome the return of other laser shows featuring the music of the Beatles, Led Zeppelin and Pink Floyd. Regular shows will also continue, focusing on planet Earth, the universe and mankind’s place in the cosmos. The planetarium can accommodate 60 guests at a time for screenings on its 1,800-square-foot panoramic screen. To learn more about the planetarium and its programming, or to purchase tickets to a show at $5 each, visit planetarium.truman.edu. 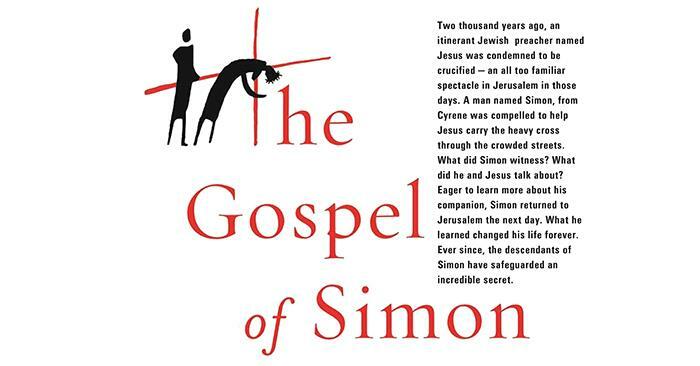 Author John Smelcer will present on creative writing and the process of translating his book, “The Gospel of Simon,” from English to Spanish at 7 p.m. Nov. 16 in the Student Union Building Alumni Room. Refreshments will be provided, and signed books will be available for purchase. This lecture is sponsored by: the Department of Classical and Modern Languages; the Department of English and Linguistics; the Department of Philosophy and Religion; the Department of Society and Environment; the School of Arts and Letters; and the School of Social and Cultural Studies. 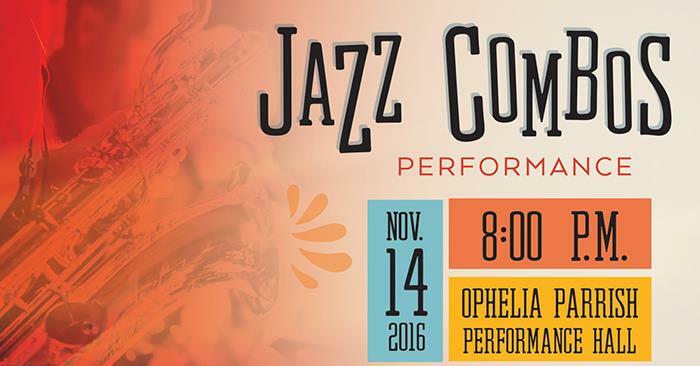 Various student groups will perform in a Jazz Combos Concert at 8 p.m. Nov. 14 in the Ophelia Parrish Performance Hall. Student jazz combos will play standard jazz compositions as well as original compositions created by students, overseen and directed by Tim AuBuchon. A plethora of styles will be performed, ranging from swing to Latin, funk and more. The combos are formed by groups of four or five musicians, allowing for improvisation and musical interaction. More information about the Jazz Combos Concert and other events happening in the School of Arts and Letters can be found at facebook.com/trumansal. This event is sponsored by the Department of Music and is free and open to the public. 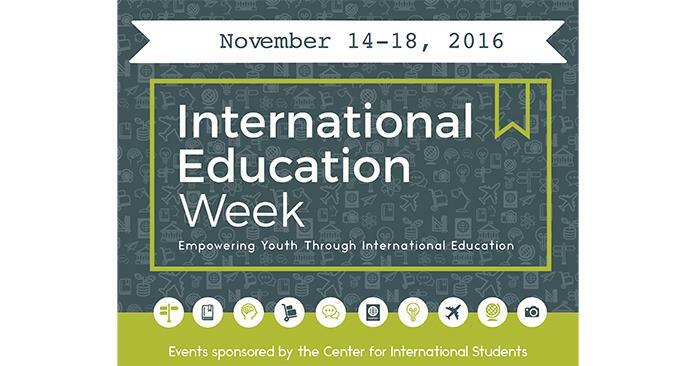 The Center for International Students will celebrate International Education Week on campus, Nov. 14-17. In addition to the following events, CIS will host a table in the Student Union Building throughout the week, handing out free international candy and fact sheets. International Education Week is an opportunity to celebrate the benefits of international education and exchange worldwide. This joint initiative of the U.S. Department of State and the U.S. Department of Education is part of the effort to promote programs that prepare Americans for a global environment and attract future leaders from abroad to study, learn and exchange experiences in the United States. IEW began in 2000 and is celebrated today in more than 100 countries worldwide. The American Red Cross will host two blood drives on campus, and the community is encouraged to donate. The drives will take place from 10:30 a.m.-5:30 p.m. Nov. 16-17 in the Student Union Building. To register for the drives ahead of time, call 1.800.733.2767 or go to redcross.org and enter Truman’s sponsor code, TrumanState. 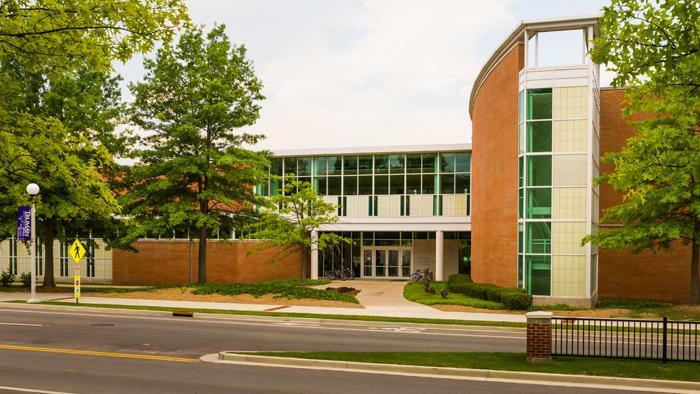 Residence Life will host “Faith Discussion: Having a Religious Perspective on a College Campus,” for all interested students at 4 p.m. Nov. 16 in the West Campus Suites Multi-Purpose Room. Learn how to eat healthy and keep moving during the holidays. Join certified athletic trainers Nicole Summers and Lorrie Peters from the Health and Fitness Center - Northeast Sports Medicine and Rehab as they demonstrate how to get through the holiday season without overeating and finding time for exercising. The lunch and learn will take place in Violette Hall 1300 from 12-12:45 p.m. Nov. 17 and participants are welcomed and encouraged to eat lunch during the presentation. This program is sponsored by the Truman Wellness committee in conjunction with the Truman Office of Human Resources. To sign up for the session, email pr@truman.edu. Applications for summer academic internships in the fields of history and museum studies are open to students until Dec. 1, 2016. For more information on these internships, visit the internship webpage. To obtain an application form, email Jason McDonald, assistant professor of history. 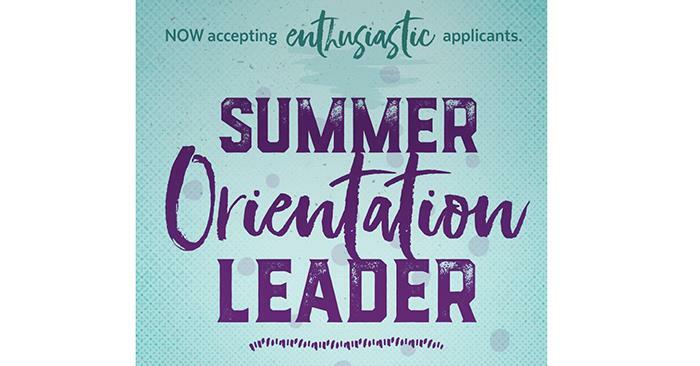 To get involved in the summer orientation process, visit the application page. Applications are due by midnight Dec. 11, 2016. Questions should be directed to Justin Wilson, orientation coordinator. Brian Jacob, GTRA of education, was selected to participate in a workshop sponsored by the German Academic Exchange Service. The service paid for his participation, travel and stay in Chicago Nov. 11-13 during the professional development opportunity at the Goethe Institute. Judicial Archives Project interns Melanie Dippold, Starlight Katsaros, Kymberly Maine and Hannah Stilley toured the Missouri State Archives Nov. 3 in Jefferson City. 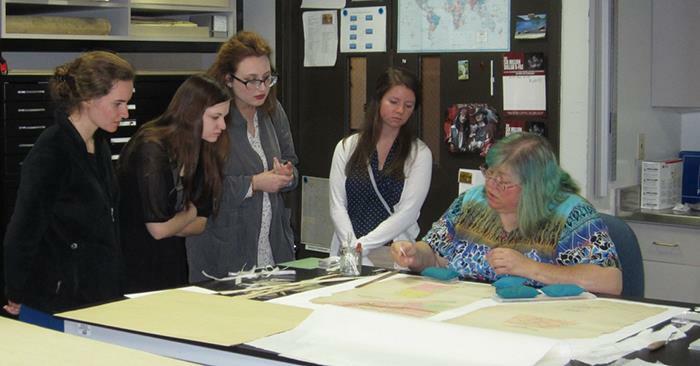 Students met conservators and other archivists and attended demonstrations in the conservation laboratory. Mary McIntosh, the field archivist responsible for running the Records Preservation Program in northeast Missouri, and Jason McDonald, history internship coordinator, accompanied the students. Truman students (from left) Starlight Katsaros, Kymberly Maine, Hannah Stilley and Melanie Dippold witness a demonstration of techniques used in the Missouri State Archives conservation laboratory.